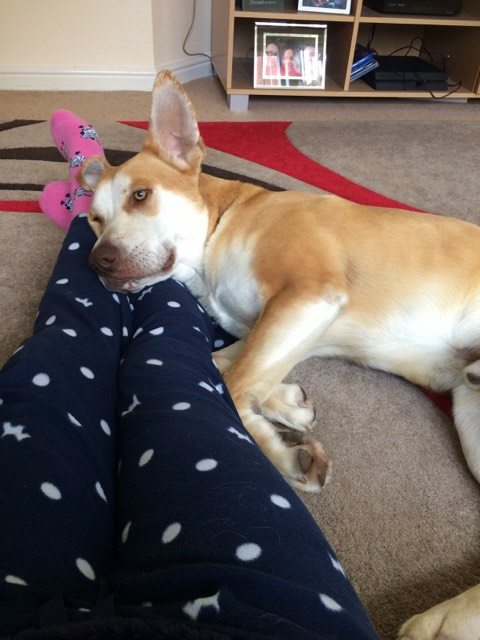 Peanut is a 2 year old male Pointer cross Labrador. 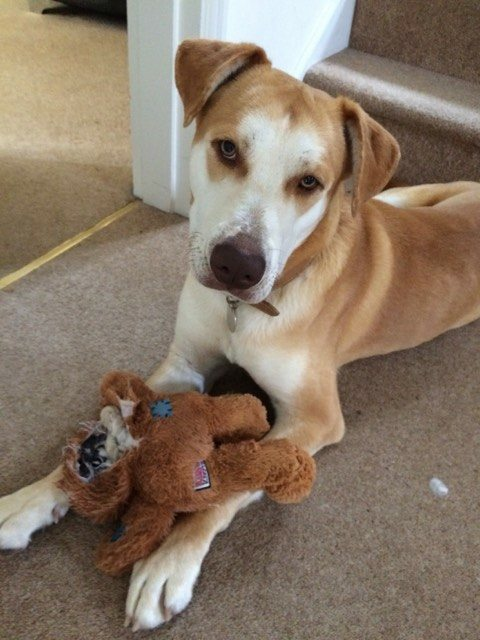 Peanut is a rescue from Cyprus who recently flew to a foster home in Colchester to help him in his search for his forever family. Here is a little about him from his foster mum. “Peanut is affectionate, loves cuddles and lots of attention. Peanut has just started to learn how to play and tug of war is his favourite. He is also learning how to fetch a toy. He will follow me around the house and plays well with my daughter. At the moment walks can be a little stressful but only because Peanut wants to make friends with everyone! If he sees another dog he will sit or lay down and won’t move. In big open space where it is safe to let Peanut off the lead, he is incredibly happy and will run around and simply adores it if you will make a game of it. Peanut is very submissive around other dogs, the need to be their friend is very important to Peanut. 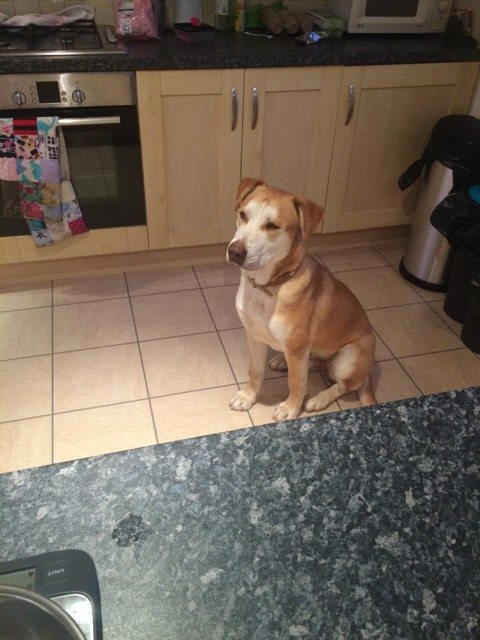 Peanut can be a little wary of certain noises and actions and will sometimes cower away, however with the right support from his forever family he will, I am sure grow in confidence and realise he is now safe. Peanut isn’t crate trained. Peanut loves dinner time, although it’s not the most important thing to him. He loves a treat and this will help with his ongoing training. 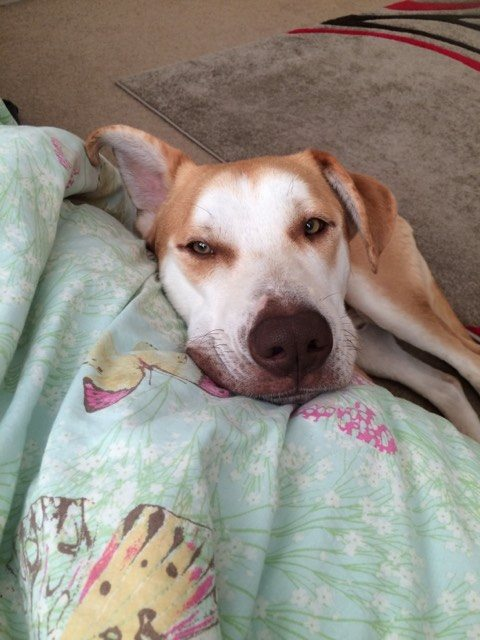 Peanut will happily approach people and people love Peanut and will shower him with strokes and praises. I have a cat but my cat doesn’t like Peanut. Peanut will tease the cat at times but overall not really bothered by her. However he does love her food! We would like to find Peanut a home where there would be someone around for much of the time to help him adjust. He would possibly benefit from another dog in the household to help his confidence when he is left. He is such a lovable, placid boy, that we think he will adapt to any surroundings. 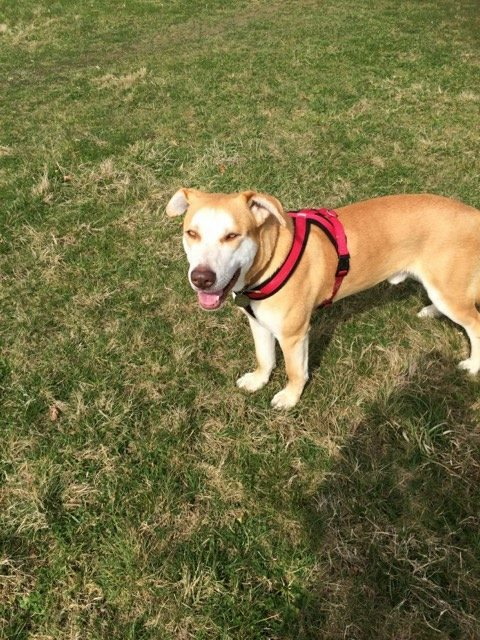 Peanut has not had much good happen in his life so far but you can tell that he is loving life in the UK. If you can offer him a stable, loving home where he can discover that his life is going to be even better than he could imagine, please contact us. He has been neutered, vaccinated and microchipped. Minimum adoption donation of £275 applies. ADOPTIONS SUBJECT TO HOME CHECK. Post adoption support is available from our charity.